In Cabo Polonio Uruguay there are no paved roads and there is no electricity, but the sleepy peninsular area can still be reached with a modern 4 wheel drive, all-terrain vehicle or a simple horse-drawn cart. where there are no cars, few people and no electricity. Visitors who come for an overnight stay at this quaint little city in Uruguay, can arrange accommodations with the Hosteria La Perla which is a clean and efficiently run hotel at the edge of the ocean. In fact this hotel sits so close to the water that when high tide arrives the waves will surge against the edges of the deck where guests frequently dine outdoors. El Cabo does boast of some beautiful and intriguing tourist attractions however. Tourists are eager to travel to Cabo and explore the rustic huts and lighthouse or to catch a glimpse of El Cabo's magnificent coastline where vast colonies of sea lions live and play. The musical calls of these marine animals echo among the rocks and enchant the minds, hearts and ears of those visitors who come to listen to the wild songs of the sea lions. This is a place where the panoramic view is both desolate and stunningly picturesque at the same time. In fact these two contrasting sides of Cabo Uruguay are what give a great deal of mystery and magnetism to the region. Tourists are eager to explore the coastal region and most people want to make certain that they get to see the uniquely different Ombu trees. These legendary, and mysterious trees, only grow in two areas of the world and Uruguay is one place where these unusual specimens are found. The shifting sand dunes of Cabo Polonio Uruguay litter the desert landscape and thanks to the winds that blow in from the ocean the constantly changing dunes seem to be alive with movement, form and purpose. There are a number of functional pushcarts in this quiet, laid back region, and visitors soon discover that without these simple little vehicles it is virtually impossible to reach some of the tourist attraactions. Cabo Polonio is part of the Department of Rocha Uruguay and this tourist destination is located on the coastal shoreline of the Atlantic Ocean. If you are travelling to Cabo Polonio Uruguay on foot requires a challenging 7 km walk. This is why most people choose one of the all terrain vehicles that are available for rent near the city's official entrance at km 264.5 or opt to hire a driver with a horse drawn cart. Another alternative source for travel to Cabo Polonio is the transportation service that runs daily from the capital city of Montevideo Uruguay to Valizas. When tourists come to explore Rocha they find that they have taken a step back in time. Here is an environment that still retains a wild, untamed and unspoiled beauty.You can spend the day wandering about the region and experiencing some of nature's most magnificent handwork. In the pristine wilderness at Cabo Polonio you can find a variety of exquisite natural rock formations, long sandy beaches; intriguing, hidden waterways and lagoons; and every now and then you may even chance upon a tiny settlement where a small group of native people live, work and play. The history of the Cabo Polonio area and the lives of settlers from hundreds of years ago are all recounted for visitors who travel to the many forts and fortresses that are present. These date back to early colonial times when the Spaniards and the Portuguese were fighting for control of the Plata's region. 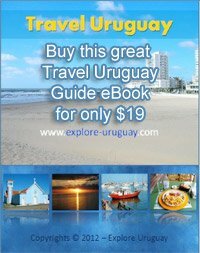 Many of these original structures have been preserved and transformed into living museums that are filled with a wealth of history and facts about Uruguay. Along the coast you will find the Santa Teresa Fortress where tourists can gaze out along the ocean's horizon or wander through the adjacent park where thousands of centenarian trees stretch tall branches upward against the sky. There are also a vast array of colorful, exotic plants, colorful flowers and fragrant shrubs to see during a tour of this Spanish fortress. The drawbridge styling and imposing architecture of San Miguel Fort is quite impressive and this structure is one of the favourite Tourist attractions of many guests. The San Miguel Fort is set inland and it is located close to the Brazilian border. There is a large forest surrounding this historic site and the immense palm groves and crystal clear lagoon waters are still fresh, unspoiled and practically untouched by modern man.